These are valuable links to websites that will give you more information about tickborne disease diagnosis, treatment, patient resources and prevention. Lyme Disease Association The Lyme Disease Association (LDA), an organization which expanded its focus nationally 17 years ago, is dedicated to Lyme disease education, prevention, research funding, and patient support. An average of 97 cents of every dollar raised by the Lyme Disease Association is spent directly for its programs. Lyme Disease.org LymeDisease.org is one of the most trusted sources of patient information. 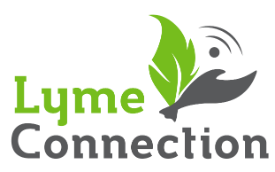 LymeDisease.org empowers individual patients by educating them, amplifying their collective voice, and providing research tools like their published big data surveys and the MyLymeData patient registry. International Lyme and Associated Diseases Society (ILADS) ILADS is a nonprofit, international, multidisciplinary medical society dedicated to the appropriate diagnosis and treatment of Lyme and associated diseases. ILADS promotes understanding of Lyme and associated diseases through research, education and policy. Website includes membership details, conference information and a physician finder. Tick Encounter Resource Center, University of Rhode Island A leading national resource center promoting tick-bite protection and tick-borne disease prevention by engaging, educating, and empowering people to take action. Devoted to conducting basic and applied research leading to better strategies for predicting and preventing insect- and arthropod-transmitted infections locally and world-wide. Connecticut Agricultural Experiment Station “Tick Management Handbook” The “Tick Management Handbook” is an integrated guide for homeowners, pest control operators and public health officials for the prevention of tick-associated diseases. Published in 2008 by the Connecticut Agricultural Experiment Station, the guide was written by Dr. Kirby C. Stafford III, a medical-veterinary entomologist whose research focuses on the ecology and control of the blacklegged tick. Dr. Stafford currently serves as Chief Scientist/State Entomologist for the state of Connecticut. Tickborne Disease Prevention Laboratory, Western CT State University Focus is on the prevention of Lyme and other infectious diseases transmitted by blacklegged ticks in the northeastern United States. Interested in how diseases can be prevented peridomestically (in one's own backyard) by manipulating the landscape, interfering with the tick life cycle, or by changing patterns of human behavior. Presently completing a series of prevention videos for homeowners you can learn more about at SpraySafePlaySafe.org.